The Official Hartpury College Fully Customisable Zip Hoody, Choose your look, add your Name and Society name and Make it yours. 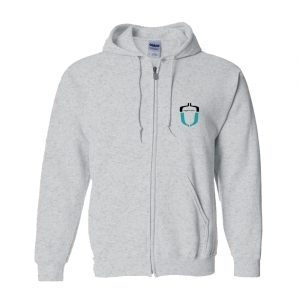 This great College hoody is 80% ring spun cotton for a great feeling garment and 20% polyester for strength and stability. Double fabric hood with self coloured draw cord and headphone opening earphone cord feed you'll be looked after in the Hartpury Fully Customisable Zip Hoody. Please note if you add a a Club / Society text and /or a Name £5 will be added to the cost of the item in the basket.